When I google searched “trauma” the first definition that came up was “a deeply distressing or disturbing experience”. The word “trauma” is synonymous with “shock, upheaval, stress, pain, anguish, suffering, agony, misery” and the list goes on. The word has a Greek origin which literally means “wound”. When I pause to reflect on what these words actually mean, my heart becomes heavy. I must say that while I’ve processed the trauma of my aunt’s death, watching an episode of Sherlock Holmes this past weekend was enough to trigger memories of her. I didn’t expect it; it just happened. Then I think about the many people who have been through a traumatic event and have not learned to process it and integrate it as a part of their life story. After all, it doesn’t take much to be triggered with the never ending information on social media, and to hide from triggers is to hide from life itself. If that’s your experience, I grieve with you. But, let’s not stay there. Last month, I wrote about Cognitive Behavioral Therapies (CBT) for the treatment of PTSD. CBT is about changing the way you think and feel about a traumatic experience. There is often an exposure component where you recall what happened in the safety of the therapist’s office and you learn to put the trauma behind you. Trauma-Focused Cognitive Behavioral Therapy (TF-CBT), Cognitive Processing Therapy (CPT) and Prolonged Exposure Therapy (PE) were amongst the treatments covered. Today, I’m excited to call upon additional experts in the Seattle area to talk about other forms of PTSD treatment. They eloquently speak to modalities that use brain activation and body-mind integration to re-wire the brain and change the relationship you have with the traumatic event. Without further ado, I give you Lorencita Villegas and Laura Moon Williams! Lorencita Villegas, LMHC, NCC is a certified EMDR psychotherapist. She writes, “Eye Movement Desensitization and Reprocessing (EMDR) is a therapy modality that helps process traumatic or disturbing life experiences or memories. It follows an eight-phase protocol where I’d ask you to recall the memory and the negative thoughts associated with it, as well as the positive thoughts you’d rather have about yourself. The goal is to replace the negative cognitions with the positive, and allow the trauma to move. Trauma moves by allowing the brain to create new pathways that are more adaptive. To allow movement we will use eye movements (or other bilateral stimulation) to activate your brain. EMDR allows you to access your intellectual and emotional processes on your own, unlike talk therapy where the clinician would help interpret them. Laura Moon Williams, MA, LMHCA is a Lifespan Integration (LI) therapist. This is how she explains LI, “Those who have had a traumatic experience(s) often feel stuck reliving the event through intrusive memories, flashbacks, dreams or physical and emotional responses to reminders/triggers of the traumatic event. These PTSD symptoms occur because the person doesn’t fully and truly know that the traumatic event is over; the body-mind system is stuck in the experience and continues to respond to its current environment as if the event had just happened. If you struggle with symptoms of posttraumatic stress disorder, you don’t have to go about it alone. PTSD affects you when you’re waking or sleeping, when you’re alone or in the company of others, when you’re at work or at play. It doesn’t have to be this way! Lorencita and Laura are here to help you put trauma in its place. Reach out to them! Lorencita is here and Laura is here. 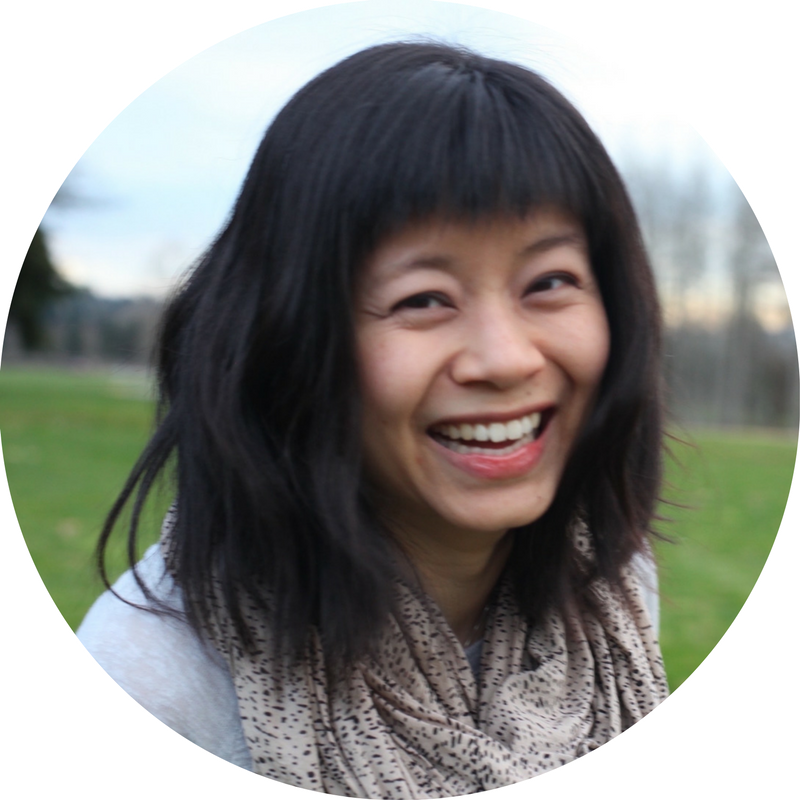 Ada Pang, MS, LMFT is the proud owner of People Bloom Counseling, a Redmond psychotherapy practice in WA. She helps distressed couples and breast cancer patients. She understands that she cannot be known for too many things, but yes, she also loves helping amazing but struggling people recover from trauma using CBT approaches. When she’s not seeing clients, she’s about working on her business and building relationships within the therapist community. Trauma is prevalent in our society. Turn on the TV or go on any social media and there’s no shortage of natural disasters, accidents and injuries, abuse, threats of violence, violence itself, and sudden deaths. Sadly, this does not include traumatic events that have happened to you or to those you know. In my previous post, I gave an overview on trauma. In this post and next, I’ll be covering treatments for trauma. In the field of psychotherapy, “evidence-based treatments” are treatment modalities that have been proven by scientific research to be effective for treating a particular set of symptoms. In the case of PTSD, a subset of Cognitive Behavioral Therapies (CBT) have shown to significantly decrease PTSD symptoms and related conditions, and these benefits are sustained well after treatment is over. I’ll be writing about two types of CBT approaches that I practice at my Redmond office. I’ll also be calling on trauma experts in the larger Seattle community to comment on other approaches that they specialize in. 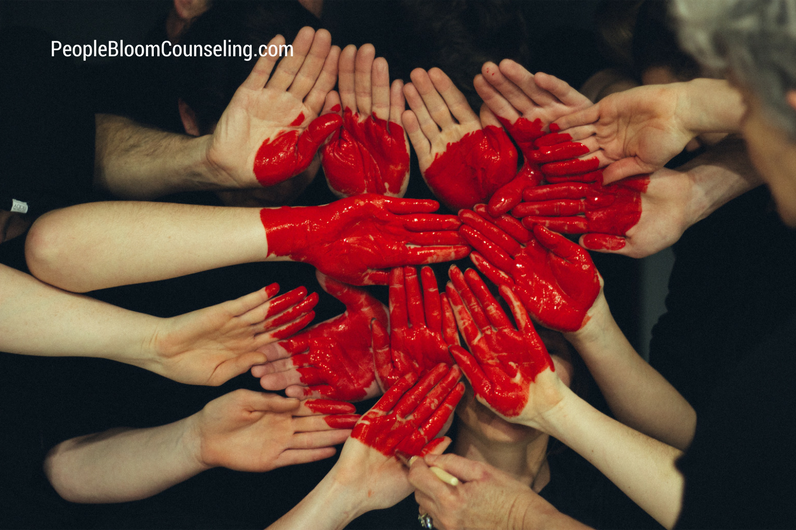 Trauma-Focused Cognitive Behavioral Therapy (TF-CBT) is designed to help children, adolescents and their families recover from trauma and related symptoms. Over the course of 12-16 sessions, children and their caregivers will learn about the particular trauma the child has experienced, common trauma symptoms, as well as the roadmap for treatment. Caregivers will also get support around parenting and learn ways to manage the child’s emotional and behavioral difficulties related to the trauma. Children will develop and practice relaxation techniques, ways to regulate their emotions, and skills to begin thinking about their trauma differently. They will also be asked to tell/write about their trauma experience in a safe environment, share it with a special person and learn ways to safely navigate the world going forward. At the end of treatment, many kids feel really empowered and their caregivers proud! And, the tools gained from treatment can be easily adapted to cope with other life stressors. First developed for use with veterans who have experienced PTSD symptoms, Cognitive Processing Therapy (CPT) has been shown effective in treating other types of trauma. As in traditional CBT, CPT sees a strong connection between your thoughts, feelings, actions, and body sensations. And, to the extent that you have some unhelpful ways of seeing the world before and/or after the traumatic event, those beliefs will keep you “stuck in non-recovery”. When you’re “stuck,” you tend to be hard on yourself and others, mistrustful of the world, and feel numbed out and angry. The ultimate goals of CPT are to help you: 1) accept the reality that the traumatic event happened, 2) fully experience the emotions about the event in a safe environment, and 3) develop more balanced, realistic views about the event, yourself, and others. Clients who have completed 12-20 sessions of CPT have shown a decrease in PTSD and trauma-related symptoms such as depression, anxiety, shame or guilt. They have also reported feeling more present in their everyday life. If you suffer from trauma symptoms and these CBT approaches to treatment resonate with you, there is hope. Yes, it is scary. Caitlin and I hear you. We’ve been there with countless clients and have walked them through this painful and frightening journey into hope and recovery. We'd want to do the same for you. Let us know how we can help. I’m here and Caitlin is here. Stay tune for other evidence-based approaches to treating trauma that I cannot even begin to describe! I’ll leave it to the experts. Ada Pang, MS, LMFT is the proud owner of People Bloom Counseling, a Redmond psychotherapy practice in WA. She helps distressed couples and breast cancer patients. She understands that she cannot be known for too many things, but yes, she loves helping amazing but struggling people recover from trauma as well. When she’s not working or thinking about work, she’s eating or thinking about food. Shortly after writing and beginning to process the two tragedies in Orlando, a 3rd happen. I cannot imagine what it's like to have been there, to be the family, to be witness to such loss, to hope that it wasn't the case, to wish it away every time I think about it. There is a tendency for me to enter into the experience of another and to carry this tension, this stress in my body. For days, I went around, trying to keep going, ignoring the signs that it's not possible. My neck and shoulders were sensitive to touch; I couldn't carry my usual backpack without having to put it down at every opportunity. My body was telling me I wasn't well. I didn't want to listen, until I could no longer ignore it. I have a 4-day conference to attend and my backpack will be my constant companion. I finally made time for some mindful yoga, of slowing down to care for my body, to pay attention to it and let it know it is important. My body responded in kind. I don't mean to undermine the magnitude of all that have happened in Orlando by talking about yoga as a solution. I do invite you to care for you, to listen to what you might need. Given all this, what would be helpful right now? What would still keep you close to the things and people that matter to you? My body is crying writing this and it begs for another slowing down, another stretch. Just know that I'm here if you need anything. Orlando Tragedies – How do I Respond? How can you Respond? I love The Voice and I have an off and on crush on the winner of season 6, Josh Kaufman. As a result of listening to his music, I would come across the amazing voice of Christina Grimmie, who came in 3rd that season. I share the shock and grief of many fans around the world when I learned about her death over the weekend. I couldn't wrap my head around this reality and would go through moments in my day, thinking that it's surreal. Such a beautiful life, taken from us. Before grief even had time to sink in, I, along with the rest of the world, experienced more losses in the worst mass shooting in US history. These 49 victims have names, faces, and ties to loved ones. They had aspirations, were wonderful students, and held jobs that served the communities in many ways. My heart is broken and my body is heavy. Those injured are still grappling with their own mortality. How do I respond to NOT one, but two Orlando tragedies? I can tell you I want to hide. I want to withdraw from others. I'm in shock and disbelief. I feel cynical about the state of our world. I think the world is unsafe. I feel like a news junkie, which is very unlike me. I want to protect my loved ones. I think about the last time I've lost a loved one and how difficult that was. Those were my knee-jerk reactions. I let myself stay there for two days and tonight, I got online to write this post. I talked about it with my hairstylist, my sister, my parents. I gave my husband a long hug when he came home from work and I'm keeping abreast with what's going on without over-indulging. I want you, the reader, to know that your thoughts, feelings, urges to withdraw, desire to connect are very real. I'm with you. I also want you to know that prolonged viewing of these traumatic media coverage will lead to more stress reactions, as shown by UC Irvine researchers when studying media exposure to the Boston Marathon bombings. Please, limit your media exposure to these Orlando tragedies. Know enough to know what has happened, but don't follow every post and definitely not the playing and replaying of related videos and audios. Turn off the TV, the radio, the computer, the phone. Connect on social media around your grief, but meet face-to-face. Go to a vigil; host your own mini one. Take a break from talking about these events and just be with the other. We are not meant to go through such atrocities alone. And, let me know if you need help processing all this or if it's awakening past trauma. I'm still here.